This is just another cut and paste from the internet, mainly from www.s8nts.com. Any one of these reports could be dismissed as a coincidence or a lie. Stringing all these small bits of information together, though, does begin to form a pattern. Let's talk about the Ural Mountains of Russia. 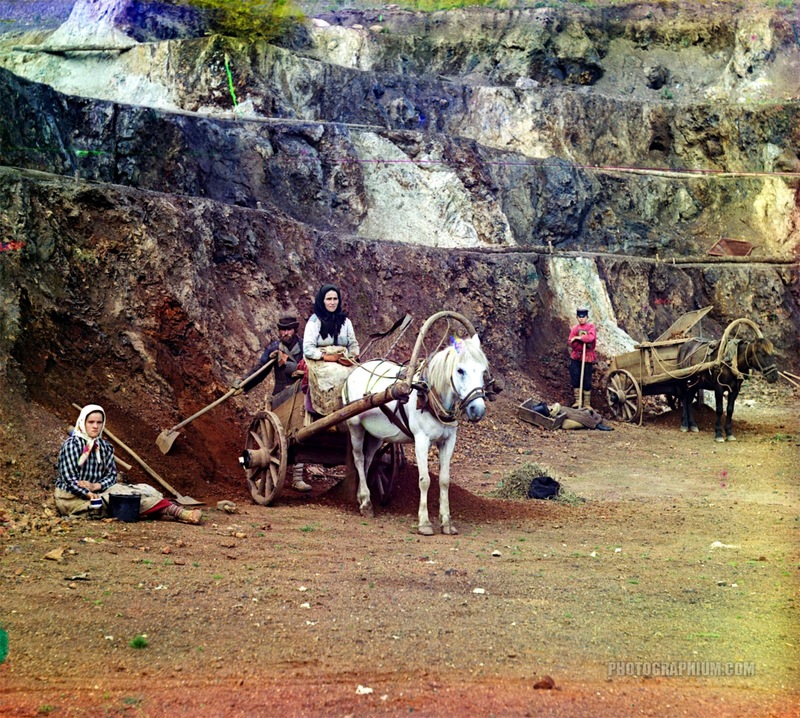 They are rich in various deposits, including metal ores, coal, precious and semi-precious stones. 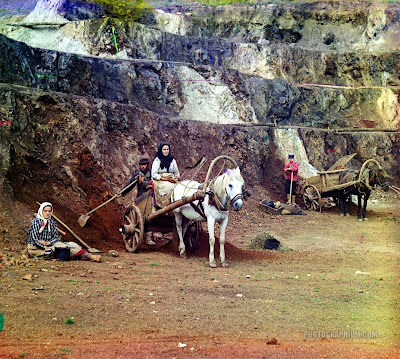 Earlier, in the 17th century, rich ore deposits were discovered in the mountains and their systematic extraction began in the early 18th century, eventually turning the region into the largest mineral base of Russia. 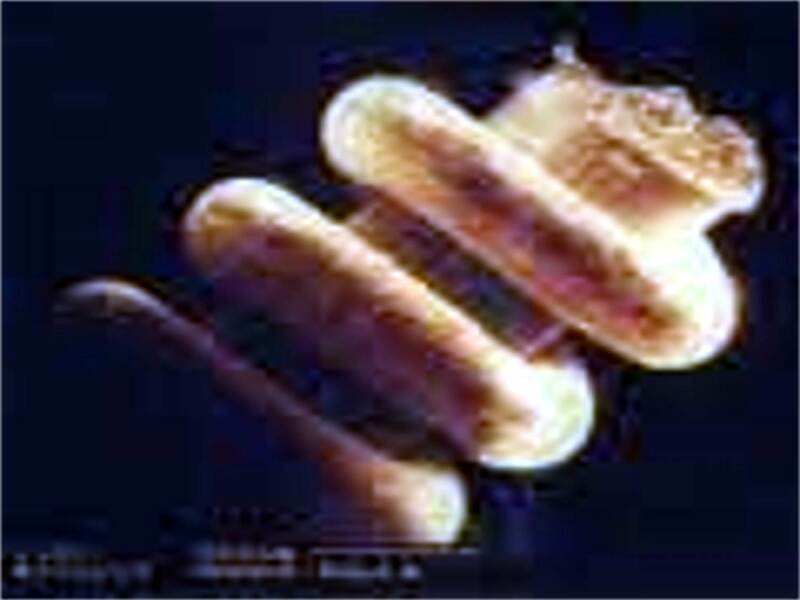 Thousands of spiral, screw-like objects sized as small as 1/10,000th of an inch have been found beginning in the early-nineties and are still being found by gold miners in the Ural mountains. 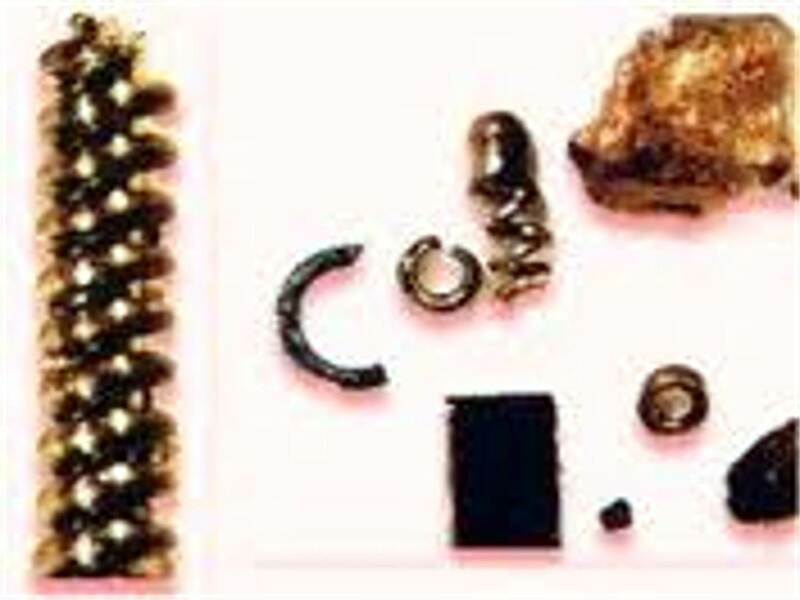 These metal items found in depths from 3 to 40 feet are thought to be 20 thousand plus years old. Lanzhou Morning News of June 26, 2002 - -(dispatched by reporters Bao Feng and HaiZhu Tian) "...an uncommon stone from a collector in Lanzhou drew enormous attention from many experts and collectors. 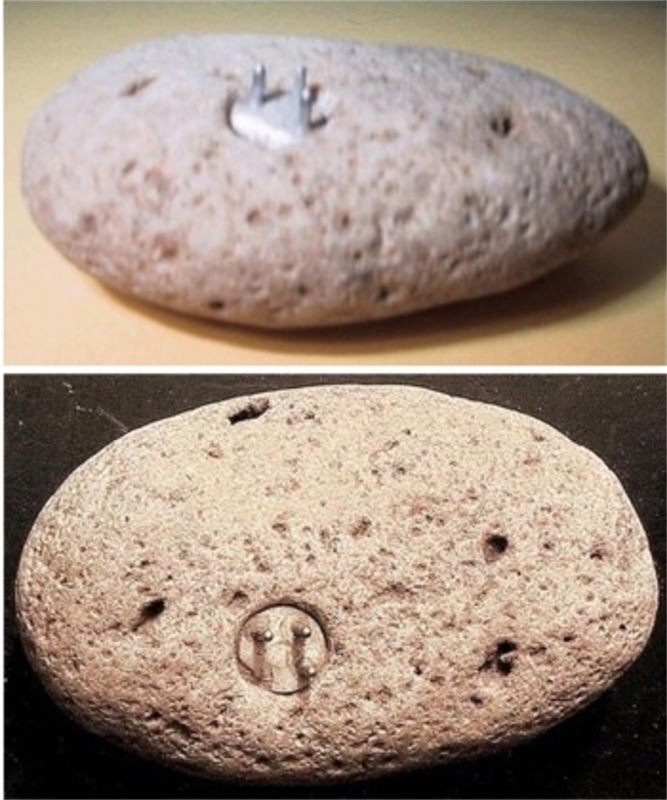 The stone is imbedded with a screw-threaded metal bar and is suspected of being from outer space. 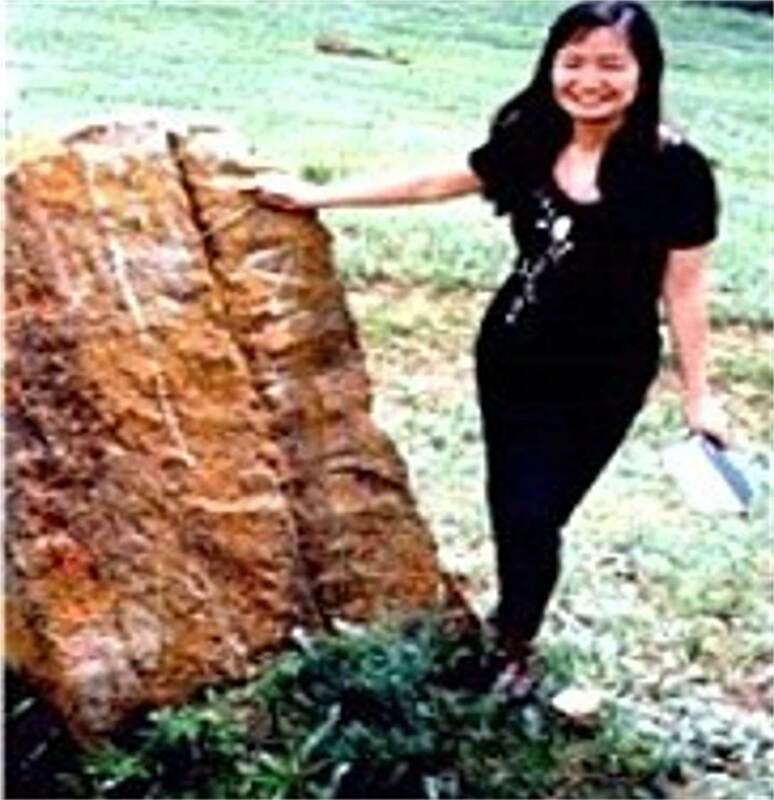 "Mr. Zhilin Wang found this stone on a field research trip to the Mazong Mountain area located on the border of Gansu and Xijiang provinces. The pear-shaped stone is extremely hard and has a mysterious black color. It is about 8 x 7 cm and weighs 466 grams. "The most surprising part of the stone is the imbedded 6 cm cone-shaped metal bar which bears clear screw threads. This mysterious stone attracted enormous attention from many geologists and collectors. More than 10 geologists and global physicists from the National Land Resources Bureau of Gansu Province, Colored Metal Survey Bureau of Gansu Province, the Institute of Geology and Minerals Research of China Academy, Lanzhou Branch, and the School of Resources and Environment of Lanzhou College gathered to study the origin of this mysterious stone. 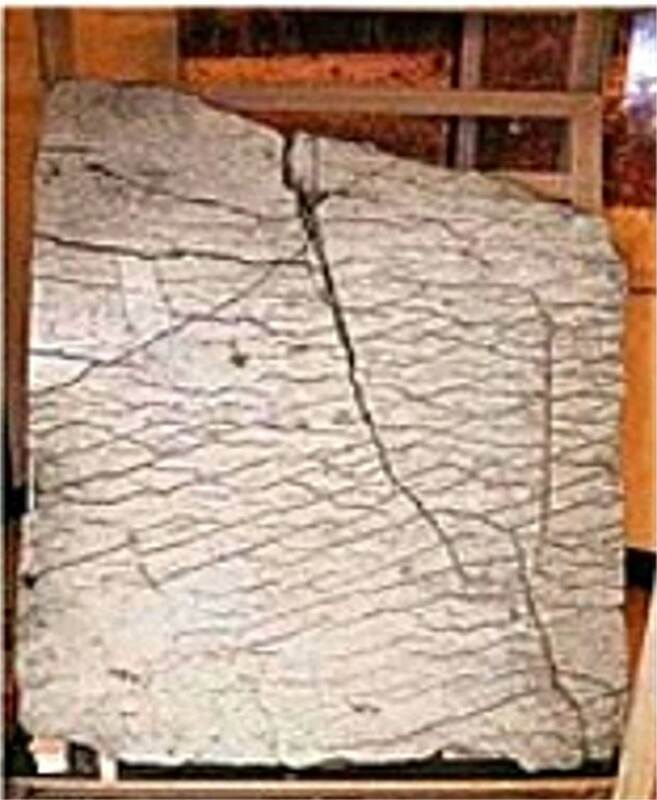 "After a discussion about its possibility of being man-made and the possible reasons for its formation, the scientists unanimously labeled the stone as one of the most valuable in China and in the world for collection, research, and archaeology studies. "During the discussion, the scientists proposed many hypotheses about the formation of this stone, but found all incredible. 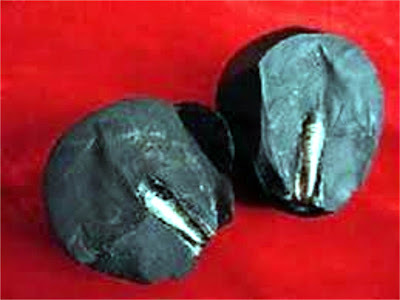 The screw-threaded metal bar is tightly enclosed in the black lithical material. Neither the bar's entrance to the stone nor the exposed bar tip appear to be man-made. "Moreover, the screw thread width remains consistent from the thick end to the thin end, instead of varying due to the growth of organisms. One of the hypotheses says that this stone could be a relic from a prehistoric civilization, since a civilization equivalent to ours existed on earth before our current one. "Another one states that it could be a stony meteorite and it could have brought the information of an extraterrestrial civilization. "At the end of the conference, all scientists agreed that further research is needed to address questions such as how the stone was formed and whether the 'metal bar' is truly metal, before the 'visitor-from-outer-space' mystery can be solved." "The circumstances of my discovery: I found my Rock in a rural area, at least 25 feet from the nearest trail (which was dirt and faint), not near any urban areas, industrial complexes, electrical or electronic establishments, nuclear facilities, airports, or military operations (that I was aware of). "The immediate ground was undisturbed. I was hiking in shorts. One of my instruments indicated on the other side of a pair of dense bushes. "I rashly thought that the best way of reaching that area was to pass between the bushes. "However, when I tried, the bushes began to painfully poke and scratch my legs. To get through, I vigorously shuffled my feet and stumbled out onto the other side. Once on the other side, I looked down at my ankles to inspect the damage, and then noticed my Rock a few inches from my heel. 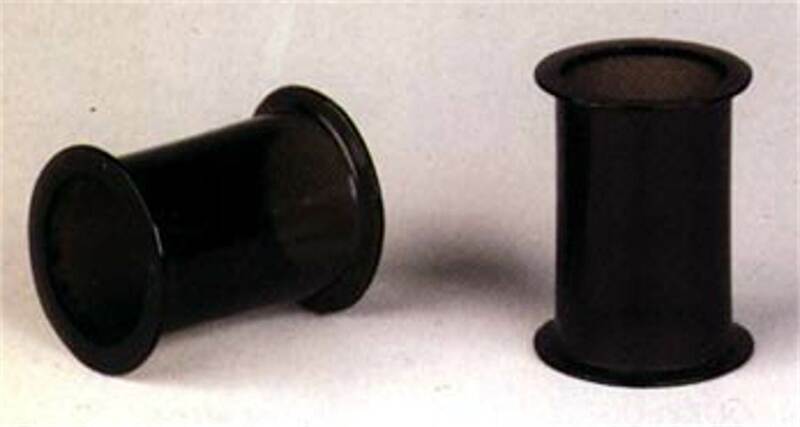 "The only thing visible of the component was the tip of its three pins. I immediately recognized the pattern as being similar to that used in electrical connectors, and picked it up. "It was definitely a Rock that I had just kicked up because it had a layer of moist loose dirt and some pliable root strands sticking out of it - evidence that it had been completely buried between or very near the bushes. "I don't know how deep it was buried or the type of soil - perhaps as much as a couple of inches - or exactly where it had laid. "The bushes were fairly large, and of a species that I believe lives for many decades. Once I cleared away the loose dirt and roots, I found that my Rock was encased in a hard layer of dried mud or clay. "I later spent hours scraping, brushing, probing and washing away the mud/clay to get a clear view of my Rock and its component. "For fear of ridicule and Government and skeptics harassment and possible persecution of my family and I to rip-off or destroy my Rock and discredit me, and also to give me the time to try to find some manmade explanation for it, I quietly and secretly held on to it for several years. "Only last year, after I had exhausted my efforts to find a modern manmade duplicate of my Rock or its component, did I decide to get it professionally and objectively evaluated, and took the risks of exposing it to the public for that purpose. "My Rock appears as in the photo images above. My Rock's material is solid natural quartz and feldspar granite (very little observed mica; I am not a Geologist) - not an accretion, concretion or pumice - does not contain any resins, cements, glues, limestone, mortar, or other non-granite binding agents - is very hard, is estimated to be at least 100,000 years old, and has embedded in it an electrical-like component (I assume to be a connector of some sort). "Within an error of about 0.2 mm for all dimensions, my Rock is 61 mm long, 38 mm wide (at its widest), and 22 mm high (excluding the pins/rods/prongs). "It's embedded component's rods/pins/prongs ("pins") are made of some kind of electrically conductive material (I assume to be metal) and are of steel-like appearance. The component base/matrix ("base") is a whitish ceramic or rock-like material, and is definitely not a plastic, rubber, wood, or metal type material (relatively rare for most types of modern manmade electrical components, ceramic-based components are normally limited to high temperature, high radiation, high voltage, high power, and-or ultra-longterm uses). "The component itself is 8 mm diameter; its pins are 3 mm high, spacing between the pins is 2.5 mm, and pin thickness is 1 mm. Rounding at the ends of the pins indicate some long-term wear, so 3 mm may not be their original lengths. "All pins appear to be about the same size (wide-angle lens on digital camera distorts relative size of nearer objects to more distant ones). "While there is no indication that there ever was a fourth pin or any type of keying, the Component's base is raggedly chipped where a fourth pin might have been located if there was one, and scoring on my Stone itself leading up to the chipped area indicates that at some time my Rock and its component received a forceful glancing blow. "While the chipped side appears to be flat, it is not flat - the chip is deep. Ohmmeter readings (no matter what the connection polarity) indicate either open-circuit or very high impedance between the pins (FET-type or tube-type technology? Broken circuitry inside?). "I have also injected various electronic signals through the pins without any response or reaction being detected. "Some have speculated that the component is an XLR connector. I have done much research component searching on this, and it is NOT a XLR connector - or any other connector I know of. "X-RAYS: Several people have suggested that I get my Rock x-rayed - say from a dentist or local lab. This is not as easy of a process as some make it out to be. Most would not even listen to me. "Of the several that did listen, only a few would even consider it, and all of these insisted that I would have to leave my Rock in their possession and come back later to pick it up (yeah, sure!) - something I definitely will not do. "There is no indication of any cement or glue whatsoever on or near the Component. Using an ammo reloading scale, my Rock weighs close to 2.5 ounces. There is slight magnetic attraction (using a 10-lb pull rare earth magnet), to the Component, and to the bottom of my Rock underneath the Component. "Using a Spec-Tec Blacklight Unit (Model HD-1, Spectrum Technologies), "L" setting (longwave), there is some fluorescence along the rim of the Component. "Neither my Rock nor its Component appears to glow in the dark, change colors, emit sound, light or radio wave, or feel unusually warm or cold, or have anything that rattles around inside of it (radiological properties are untested and unknown at this time). "Some have speculated that my Rock is a thermal "rock" used with small animals, but extensive searching has not produced a single commercially made heat Rock that would verify this speculation, and no such match has ever been reported to me; and if it were a heat Rock, pin-to-pin resistances would be relatively low - not at or near open-circuit. "My Rock is NOT a heat rock." The items to the right come from the area where the Aztec's lived in Mexico. They are hollow cylinders with a slight rim on each end. They appear to be formed somewhat like the ear plugs that were used by certain peoples to enlarge or accent the holes in their pierced earlobes (I'm told that the modern slang term is "gauges."). They are made of obsidian, a black glass formed in volcanoes. The evolutionary propagandists say that these were formed by many, many hours of hand work, using bamboo drills, stone tools and hot sand to form these objects. Even at first glance, you can see that they are absolutely regular. Hand work usually shows some irregularities. Secondly, the glass is only a millimeter thick in some places. The similar thickness between the lip and the body of the cylinder makes these objects very fragile, not something that you would make with a stone tool. As far as the hot sand idea, I've never seen anything that has been polished by a particulate that didn't have scratches on it, however microscopic. They would keep the glassy material from being translucent or clear. Besides, any sand that is hot enough to cause glass to melt to a smooth surface is going to melt the person using it. 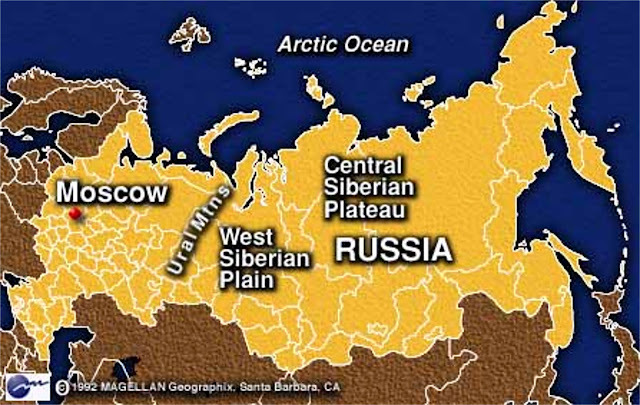 Russian scientist claim to find "120 million year old" 3D Aerial Relief Map. "This seems to be impossible. Scientists of Bashkir State University have found indisputable proofs of an ancient highly developed civilization’s existence. The question is about a great plate found in 1999, with picture of the region done according to an unknown technology. This is a real relief map. Today’s military has almost similar maps. The map contains civil engineering works: a system of channels with a length of about 12,000 km, weirs, and powerful dams. Not far from the channels, diamond-shaped grounds are shown, whose destination is unknown. The map also contains numerous inscriptions. At first, the scientists thought that was Old Chinese language. Though, it turned out that the subscriptions were done in a hieroglyphic-syllabic language of unknown origin (First Tongue, perhaps? – Randy). The scientists never managed to read it. “The more I learn the more I understand that I know nothing,” the doctor of physical and mathematical science, professor of Bashkir State University, Alexandr Chuvyrov admits. The geological structure of the stab was determined: it consists of three levels. The base is 14 cm thick (about 6 inches – Randy), made of the firmest dolomite. The second level is probably the most interesting, made of diopside glass (a composite crystalline mineral that is resistant to heat). The longer the slab was studied, the more mysteries appeared. On the map, a giant irrigative system could be seen: in addition to the rivers, there are two 500-metre-wide (about 1,600 feet – RMF)) channel systems, 12 dams, 300-500 meters wide (@1,000 to 1,600 feet – RMF), approximately 10 km (6 miles – RMF) long and 3 km (1.86 miles – RMF) deep each. The dams most likely helped in turning water in either side, while to create them over 1 quadrillion cubic meters of earth was shifted. In comparison with that irrigative system, Volga-Don Channel looks like a scratch on the today’s relief. As a physicist, Alexander Chuvyrov supposes that now mankind can build only a small part of what is pictured on the map. 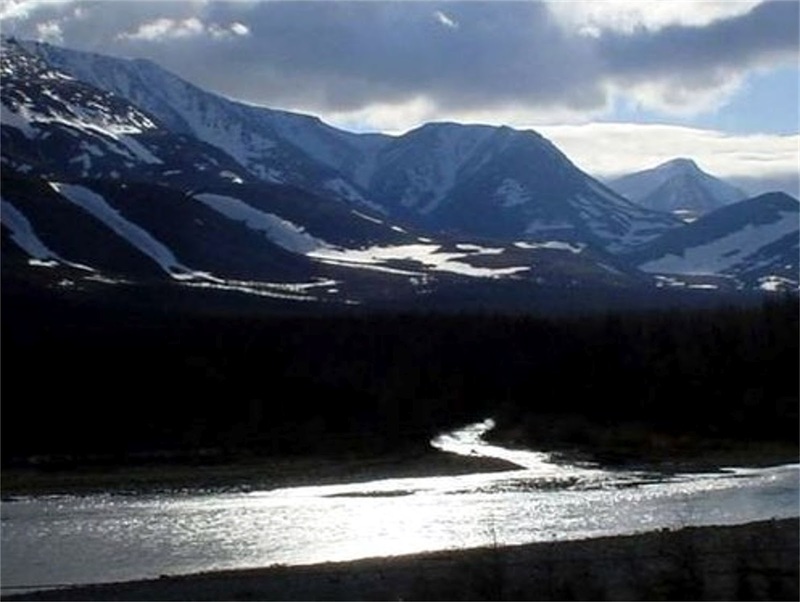 According to the map, initially, Belaya River had an artificial river-bed. 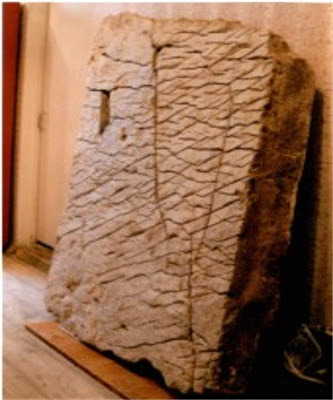 It was difficult to determine even an approximate age of the slab. At first, radiocarbon analysis was carried out, afterwards levels of stab were scanned with uranium chronometer, though the investigations showed different results and the age of the slab remained unclear. While examining the stone, two shells were found on its surface. The age of one of them " Navicopsina munitus of Gyrodeidae family - is about 500 million years, while of the second one " Ecculiomphalus princeps of Ecculiomphalinae subfamily - is about 120 million years (mythical evolutionary years - RMF).